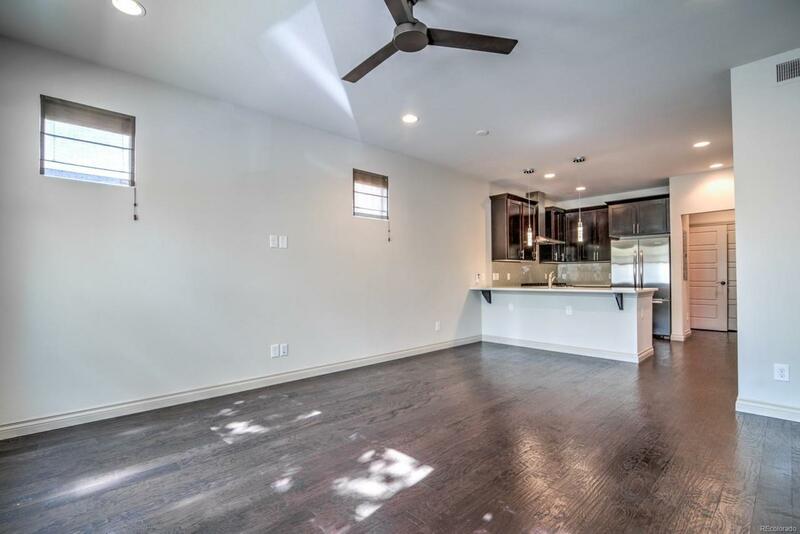 This end unit townhome offers the most private and open rooftop deck in the community and has panoramic views! 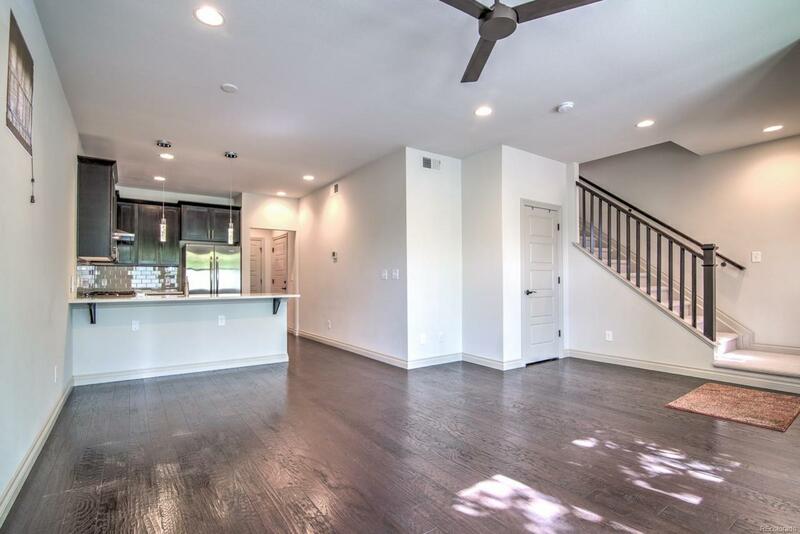 Hardwood floors, high ceilings, modern lighting, windows w/upgraded soundproofing, custom window treatments, a chefs kitchen, an attached garage & powder room on the 1st floor. The 2nd floor is fitted with 2 private bedrooms each with an en-suite bath & covered balcony at the front of the townhouse! The master suite is spacious, with a large walk-in closet, a soaking tub, a glass-enclosed shower, a dual sink vanity with ample storage and Quartz countertop. The 3rd-floor office has wonderful views and the huge, private rooftop deck for your urban oasis. 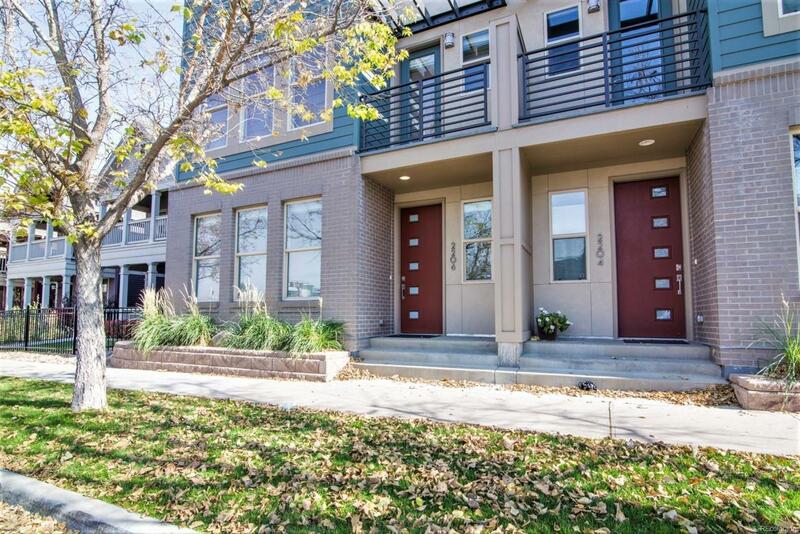 From this perch, you can watch the lights downtown, catch the sunset over the Rockies, watch out over the hustle bustle of Coors Field or just relax with a drink on a cool night!Amazing walkability! Walk downtown, Coors Field, Rhino, Lohi or catch the Lightrail. Everything you need within minutes! Offered by Colorado And Company Real Estate, Inc.